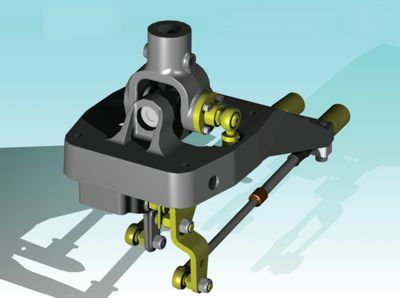 The transportation industry has for many years searched for a reliable shift system to replace the cumbersome and maintenance-prone rod linkages commonly used in cab over trucks and rear engine buses. As the need has increased, vehicles become more refined to include the complexities of floating cabs, curb noise restrictions and specialty vehicles of all types. Cablecraft Motion Controls has developed a systems approach that now makes remote shifting easier for both the vehicle builder and the operator. Based on the proven quality and performance of Cablecraft low friction control cables, this system provides a maintenance-free, cost-effective approach to remote manual transmission shifting. Cablecraft Motion Controls stands ready to solve your most challenging shifting problems with a full line of cab units and transmission connecting hardware to suit most applications.